Writing for Dominion Lending Centres, Yvonne Ziomecki for HomEquity Bank has set out to clarify several commonly accepted views surrounding reverse mortgages in Canada. Among the most persistent of the so-called misconceptions, Ziomecki said, is the myth of sellers losing ownership of their homes to institutions. “You, as a customer DO NOT transfer ownership of your home to us. In fact, once it’s time to pay back the mortgage you or your heirs have the choice to settle the loan however you or they want. 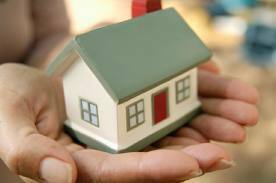 Selling the home is the most common option, but it is not mandatory,” the HomEquity Bank senior vice president added. Also, conservative lending practices play a major part in protecting consumers, especially for those approaching retirement. Ziomecki’s expanded explanation of how the DLC loan works can be found here.